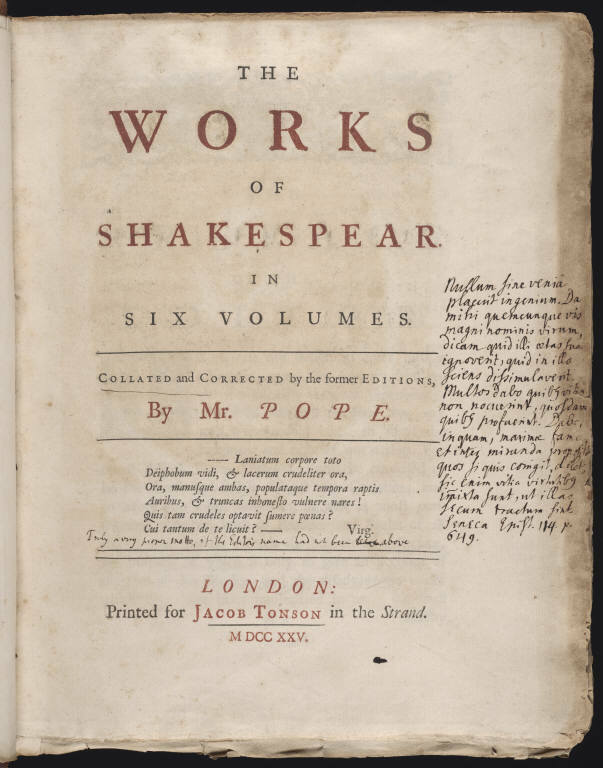 But reading Shakespeare for pleasure was a practice not confined to lovers of Johnson’s Dictionary–or, for that matter, lovers of Shakespeare’s plays. 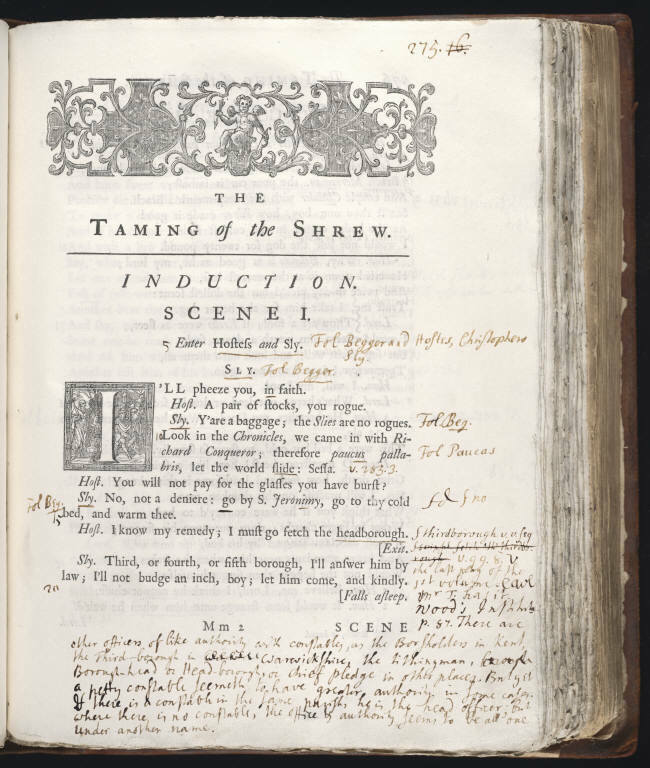 Editorial critics as well took to the pages (and margins) in the eighteenth century, in delighted or malevolent critique of new editions of the plays. Here, Styan Thirlby can be seen, pen in hand, reading Pope’s edition of the Works. 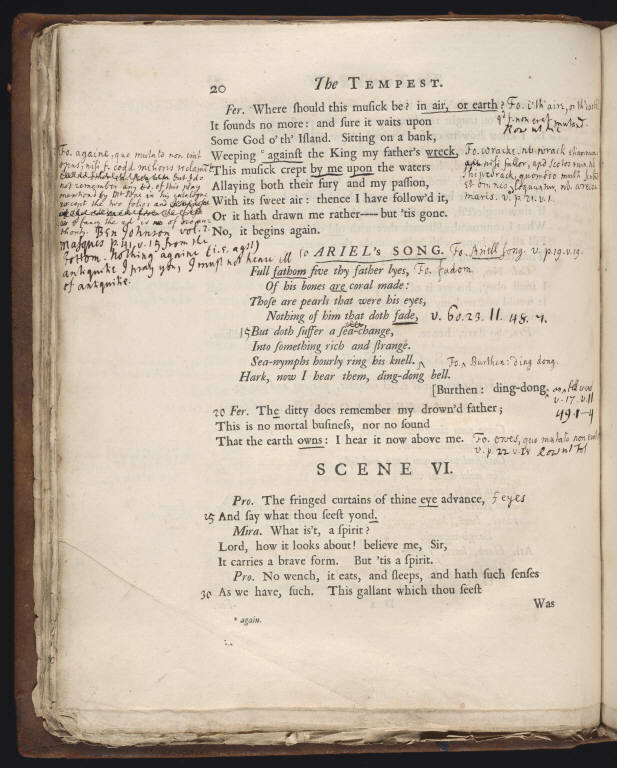 Thirlby’s extensive marginal commentary was a resource for other editors, including Lewis Theobald and Samuel Johnson.